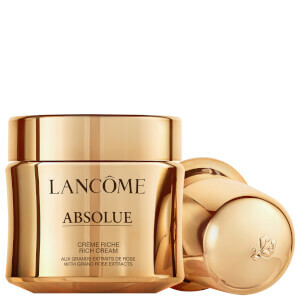 Rescue tired, dull and stressed-out skin with the Lancôme Advanced Genifique Sensitive Double Drop Serum; a concentrated essence with a unique dual-infusion system to tackle particularly bad skin days. Every day, external factors including air conditioning, environmental pollutants and seasonal changes can cause continued detriment to our skin, combined with internal factors of stress, fatigue and hormones, which result in skin feeling weak, uncomfortable and extremely dry. This powerful serum is an overnight solution, utilising the same base serum as the original Advanced Génifique (ferment extract, bifidobacterius extract and lactobacillum ferment extract) to strengthen and repair, as well as an additional Blue Concentrate enriched with Vitamin E and Ferulic Acid for enhanced protection. The two are kept separate within the bottle, with a unique activation process to ensure maximum efficacy and freshness for up to two months. Skin immediately appears replenished, soothed and calm; with a healthier looking radiance and overall improved texture. 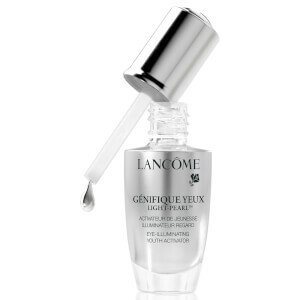 Pair with the Advanced Génifique Serum for all-year-round defense, whatever life throws at you. Push and twist the cap to release the blue concentrate into the base serum concentrate. Shake until the two concentrates are evenly mixed. On cleansed skin, apply three drops evenly across your face and neck and gently massage the formula. Follow with your recommended face cream. Tip: Use when you‘re experiencing bad skin days or when your skin needs it most, every night for one month. 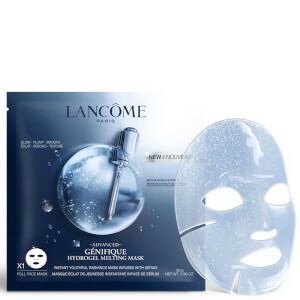 It smooths my skin, helps to remove all my acnes.My skin is being stablized.Nice product. My skin is on the dry side, so after cleansing and washing off my make-up it can feel pretty dull. 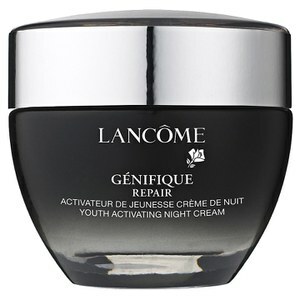 Using Lancome Genifique honestly helps adding that needed moisture and vitamins back in. My skin feel and looks so much better! This is a amazing skincare product! makes my skin more glowing, and stable! Very pleased!